Real-time departures. 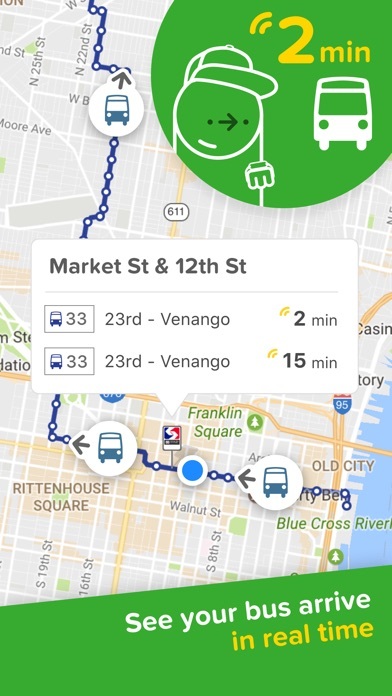 Transit maps. 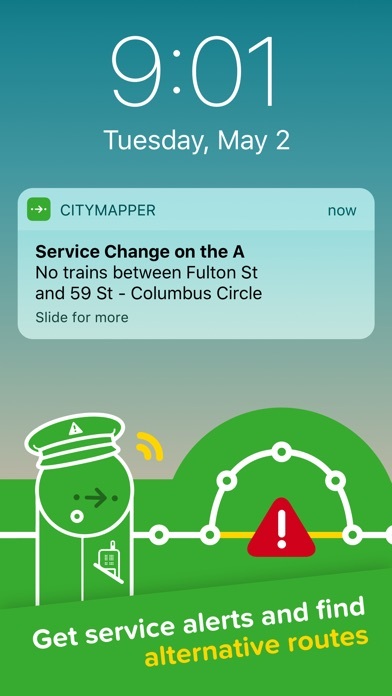 Line status and real-time disruption alerts. Uber integration. 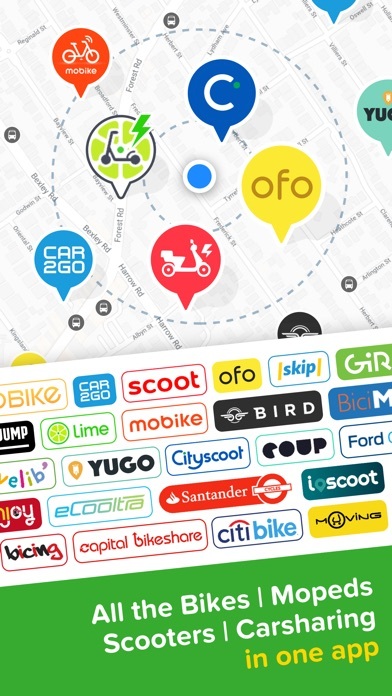 Bike routing and live bike share info. Constant updates. Everything you need -- and may not even realize you need -- to manage your life in the city. COVERAGE USA/CANADA: New York City, San Francisco Bay Area, Los Angeles, Washington DC, Baltimore, Seattle, Chicago, Boston, Philadelphia, Toronto, Vancouver, Montreal. ASIA: Singapore, Hong Kong, Seoul, Tokyo. AUSTRALIA: Sydney, Melbourne. EUROPE: London, Manchester, Birmingham, Paris, Lyon, Berlin, Hamburg, Brussels / Belgium, Amsterdam / Randstad, Madrid, Barcelona, Milan, Rome, Lisbon, Copenhagen, Stockholm, Moscow, St Petersburg. LATIN AMERICA: Mexico City, São Paulo. EXPANDING: VOTE for your city and we'll add it citymapper.com/nextcity PRESS REVIEWS "Citymapper is, quite simply, the best travel app to be introduced to New York City" - New York Times "Now forget about Google Maps because Citymapper eats Google Maps for breakfast, lunch, and dinner.” - Tech in Asia MAIN AWARDS * Apple's 2014 and 2013 Apps of the Year * Grand Prize Winner - MTA New York City App Quest 2013 * Best Overall Mobile App (Mobile World Congress Barcelona / GSMA 2014) * Winner of Grand Prix, Best Transport Startup and Best Mobile Startup - 2015 Europas Awards * Special Prize Winner - Tokyo Metro Competition 2015 THOUSANDS OF 5-STAR USER REVIEWS * "Best app on my phone." * "It’s reason alone to get an iPhone. It's that good." * "I'm practically married to this app." * "Don't know how I lived without it." * "This app makes me warm inside." 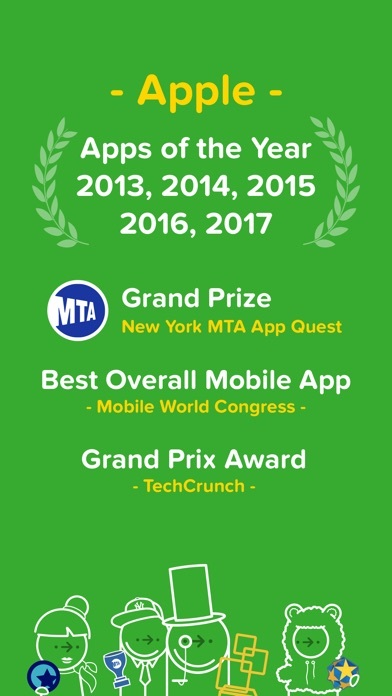 * "The only true five star app." * "Support for the SF Bay Area is particularly impressive because it aggregates all transit systems imaginable (BART, Caltrain, MUNI, VTA, etc.) 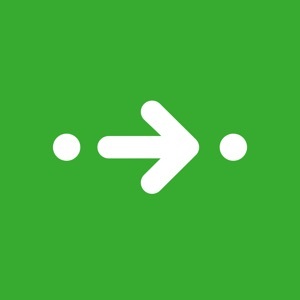 into one seamless app." 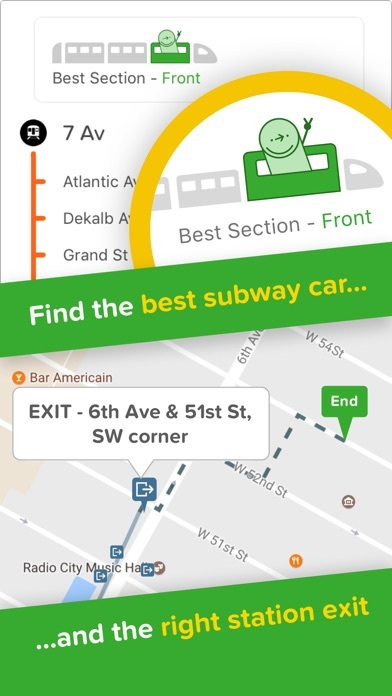 * "Best app for getting directions and ride on the MTA New York City." * "Life changing. 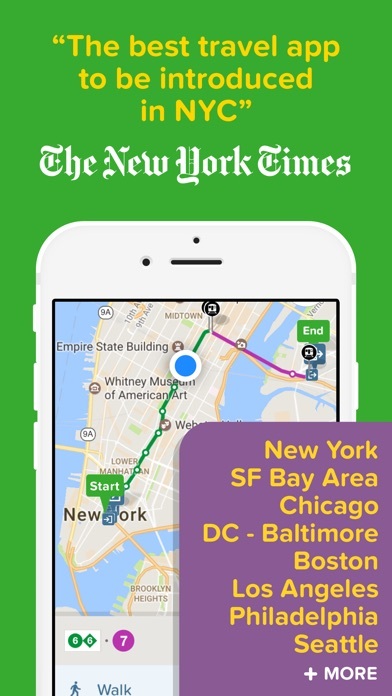 This app really changes the way you travel." 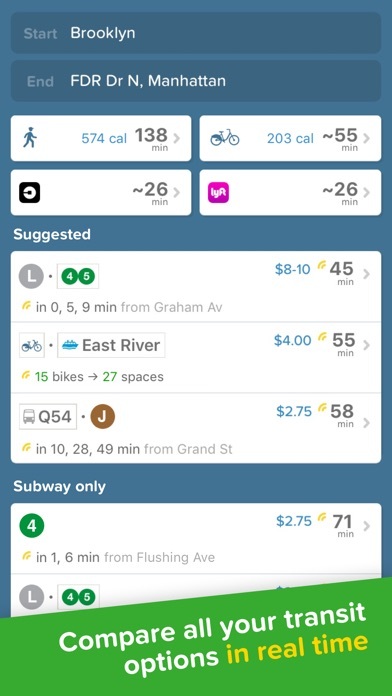 * "This is my favorite transit app. Full-featured and a breeze to use. 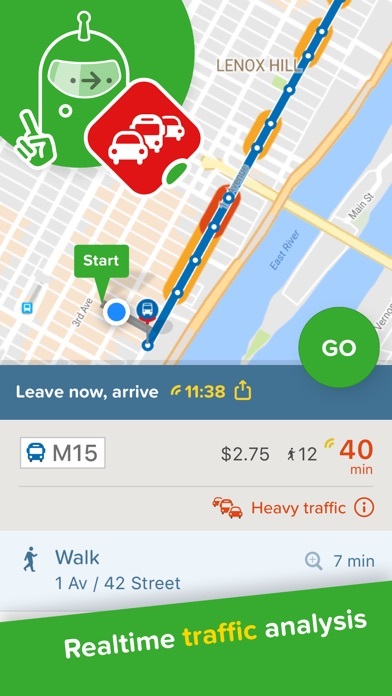 I really appreciate the Uber integration." AVAILABLE CITIES & SERVICES IN THE US, SINGAPORE & HONG KONG We use open data from transport agencies in the cities where we are live: - New York City: MTA, MNR, LIRR, Nassau Inter-County Express (NICE), New Jersey Transit, NY Waterway Ferries, PATH, Citi Bikes - San Francisco Bay Area: BART, MUNI, Caltrain, AC Transit, SamTrans, VTA, Golden Gate Transit, County Connection, Wheels, Union City Transit, Tri Delta Transit, WestCAT, Stanford Marguerite, Emery Go-Round, ACE, Capitol Corridor, Bay Area Bike Share, San Francisco Bay Ferry - Los Angeles: Metro, Metrolink, Santa Monica Big Blue Bus (BBB), DASH / Commuter Express (LADOT) - Chicago: CTA, 'L', METRA, PACE Bus, Divvy Bikes - Boston: Massport, MBTA, Boston Commuter Rail, the 'T', Silver Line, Hubway Bike Share - Washington DC: WMATA, DC Circulator, Metroway, Ride On (Montgomery County), ART (Arlington), DASH (Alexandria), Fairfax Connector, VRE, MARC Trains, MTA Commuter, Capital Bikeshare - Philadelphia: SEPTA, PATCO, NJ Transit - Singapore: LTA, SMRT, SBS - Hong Kong: MTR, HK Tramways, Light Rail, Kowloon Motor Bus, Citybus, First Bus, First Ferry, Star Ferry, Discovery Bay Ferry & Bus, Park Island Ferry & Bus, Green Mini Bus KEEP IN TOUCH If you have questions or feedback, please email us at [email protected] Like us on Facebook: http://facebook.com/thecitymapper Follow us on Twitter: http://twitter.com/Citymapper Visit our website: http://citymapper.com Please note that the app requires data access and works best with GPS / location on. Also, continued use of GPS running in the background can dramatically decrease battery life. Background GPS is only used when in ‘GO' navigation mode.